/ Modified dec 6, 2017 6:34 p.m. 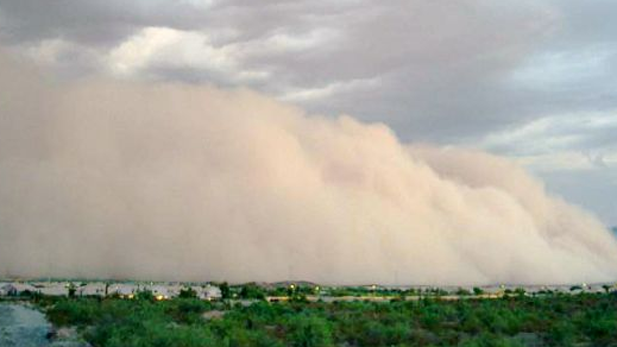 The Arizona Department of Transportation has started work on a system that it thinks will reduce the number of collisions caused by dust storms on a stretch of Interstate 10. ADOT is installing equipment for long- and short-range radar and closed-circuit video cameras to help the department detect and predict adverse conditions along I-10 between mileposts 209 and 219. An ADOT spokesman said this could be the first time such equipment has been used like this. "What we're doing differently is using it together in a way that hasn't been done before, as far as we're aware, and using that to provide information to drivers so we can make the freeway a safer place when those dust storms kick up," said ADOT's Tom Herrmann. The equipment will be paired with electronic message boards and signs that will allow the speed limit to be reduced during times of poor visibility. Work is being done by a contractor awarded a $58.4 million contract. "There are a number of places where this kind of technology might be useful," said Herrmann. "But the first thing we have to do is get this in place, make sure that it works and then consider whether this is technology we want to put in other places." Along with the dust-detection equipment, ADOT will also widen a 4-mile stretch of I-10 and rebuild the interstate's interchange with State Route 87. The project has an estimated completion date of fall 2019. MORE: Arizona, Environment, Government, News, Transportation, U.S.